Passion Pit’s new album GOSSAMER bounces and pops with color and frenetic energy. Fuzzed out electro bass beats and poppy, high register vocals weave with skittery, electro soundscapes on one fascinating track after another. Fascinating, because for all the get-up-and-dance dynamic there’s an underlying sadness to many of the lyrics – which creates kind of a tasty musical sweet and sour effect. In other words, the album cover is right on target with its depiction of sunshine and clouds. 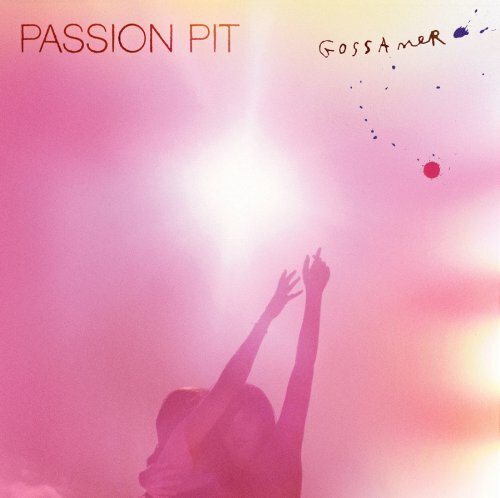 This entry was posted in Album Reviews, Album Streaming Links and tagged Album Reviews, Album Streaming Links, Gossamer, Passion Pit, Take A Walk on July 25, 2012 by Constant Listener. I’m new to the Gaslight Anthem. At first listen their new album sounded to me like average rock music with cliché rock lyrics, sung by a passionate, standout rock front man. At second listen I found that even if (and “if” being the key word) my earlier criticisms were correct, maybe it didn’t matter all that much. This is a catchy, driving, relatively unsophisticated, yet easily likeable rock and roll album. These guys get compared to Springsteen a lot. I’d say well, yes, I see that – but if they have to be compared to famous fellow Jersey boys then I feel they’re a little more like a scrappier, punkier Bon Jovi than Springsteen. Notice the three different guitar approaches that open “45,” the ear tattooing guitar work on the last thirty seconds of “Mullholland Drive,” the throat shredding vocal accents on “Too Much Blood,” the mellow beauty of album closer “National Anthem” – all of these and many more memorable moments contribute to an overall impression that because they’ve clearly got heart, although these guys may not end up on the cover of Time, their music is certainly worth your time. 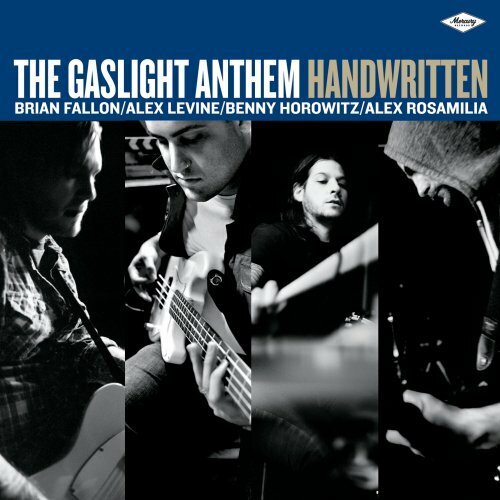 This entry was posted in Album Reviews, Album Streaming Links and tagged Album Reviews, Album Streaming Links, Handwritten, The Gaslight Anthem on July 24, 2012 by Constant Listener.